This first-time-ever offer is only available for 7 days! So, if you are a resume writer, career coach, or other career professional who wants to make more money, work less hours, gain a new credential, and increase your clients’ success, then please stick with me for this post. Referring away business to coaches or other programs because they don’t have the skillset to offer a service. Hitting a ceiling of income because they are trading hours for dollars with how many clients they can take with 1-1 time-intensive services. Sometimes having a skill (such as interview coaching) but feeling they need to wait until they have some physical content complete to give their clients and show value. Limiting their clients’ potential success by not offering certain services. 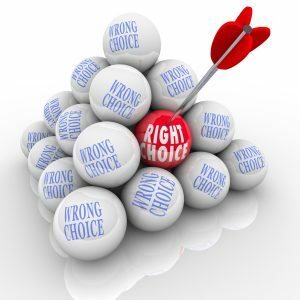 Assuming risk when a resume isn’t a magic bullet because the client wasn’t given the other pieces they need to make that resume work. Having to scramble for more clients because they are missing out on more revenue per client through additional services. Interview Strategy is one of two KEY COMPONENTS in completely changing this game! 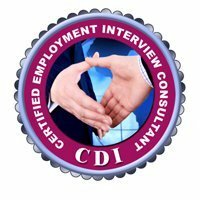 That’s where CDI’s Certified Employment Interview Consultant (CEIC) course comes in. The CEIC makes it easy for you to overcome all these challenges almost overnight! If you can read out loud, you can educate your client(s) almost immediately. The content is written completely in conversational style and color coded. When you read aloud on the phone with a client, he/she won’t know it, because it’s written in the way most people speak. Just have the materials in front of you and every client will think you are a master. CEICs have literally told me they felt confident with the material after one review! It’s color-coded to fit any situation. In addition to the black text which indicates conversational coaching/educating, there is blue text for stories that allow you to illustrate a point. (Everyone learns better with examples). There is also red text for exercises you can use 1-1 or in group situations, making it perfect for transition assistance programs, college courses, and workshops. You will know at-a-glance what is coming! There are done-for-you materials. You’ll never have to worry about having “content” to give your clients again as part of the service. Modules have checksheets, quizzes, and/or tip sheets, depending on the topics. You can mix-and-match what you pull out to give them or offer them the program workbook, which you can order at wholesale with a cover that is branded for your company. I show you how to package this with your services to produce ROI. So many folks earn certifications and then can’t figure out how to sell them. I include an entire module to show you methodology on selling, packaging, and pricing this service. There are different curriculum models for different audiences. The sky is the limit with this content. It can be used for 1-1 client interactions, profitable monthly bootcamps, to record your own evergreen (make money while you sleep client programs), transition assistance workshops, or courses. I cover a variety of options for how to weave the content into varying length programs. It works with all levels of job seeker. While this program has been on the market (regularly updated) for about 21+ years, it has been successfully used with all levels of clients from the award-winning college placement program I ran to civil service transition programs, engineer and executive coaching, and everything in between. I’ve covered the content bases, so you can just jump in. There are ways to incorporate this that don’t require you to give away more 1-1 hours. This type of strategy is perfect for group programs that you can incorporate in your business. I’ve been teaching career professionals how to run these monthly boot camps (or turn them evergreen) for years. This is how you can easily add $3-5K a month in revenue while only working 4 additional hours each time. You don’t have to coach. That’s right – coaching isn’t in the name and it isn’t the goal of the program. When job seekers think coaching, they think long-term commitments and feelings. When I talk strategy, I mean “how-to”. The closest you will come to coaching is pointing out to clients things they need to change (such as body language) and helping them to reverse-engineer their resume content into home-run-hitting interview answers. Interview preparation is very much a “telling” process! It’s updated regularly. The world does change and even this topic is impacted. The most recent update includes content on artificial intelligence in the interview and more. Beware of one-and-done programs that are now obsolete! You learn at your own speed and won’t be tested. This is a self-paced program that you work through when and how you wish. There are no tests — just a portfolio that must be submitted with an exercise from each of the 18 modules. You’ll receive mentoring and feedback to ensure you attain certification. Bonus group strategy session. Everyone who registers during this special will have access to a 60 minute group hot seat coaching/Q&A session on Wed, June 26, 2019 at 12 PM Eastern. I’ve pushed it out until that date to ensure you have time to go through the material and easily complete registration. That way, the call can give you the greatest ROI. I charge $450/hr for 1-1 coaching so depending on attendance, this could be a big ticket for you. (It will be recorded). Estimated $175 value. So, you can gain a new credential and open up a new world of revenue potential coupled with greater client successes while getting access to an adiditonal $1473 in bonuses! All you have to do is purchase the CEIC program using either the one- or three-payment option. Membership is a pre-requisite, so if you aren’t already a member, simply pick the non-member option. (Membership will give you so much additional juicy resources to enhance your skills and build a 6-figure-plus business). Once I am notified of your purchase through our system, I will grant you access to the Live recordings and MS Word modules. Please allow one business day. You can then also mark your calendar for the call and I’ll email you access information as it nears. YOU MUST ACT BY TUESDAY, 4/16/19 TO GET THIS DEAL! After that date, we’ll revert back to the regular CEIC offerings. Yes, I DID create a video for this, but I’ve put it on the linked page above! Already purchased the CEIC program? There IS an upgrade option for you. Watch your email this week for more information.